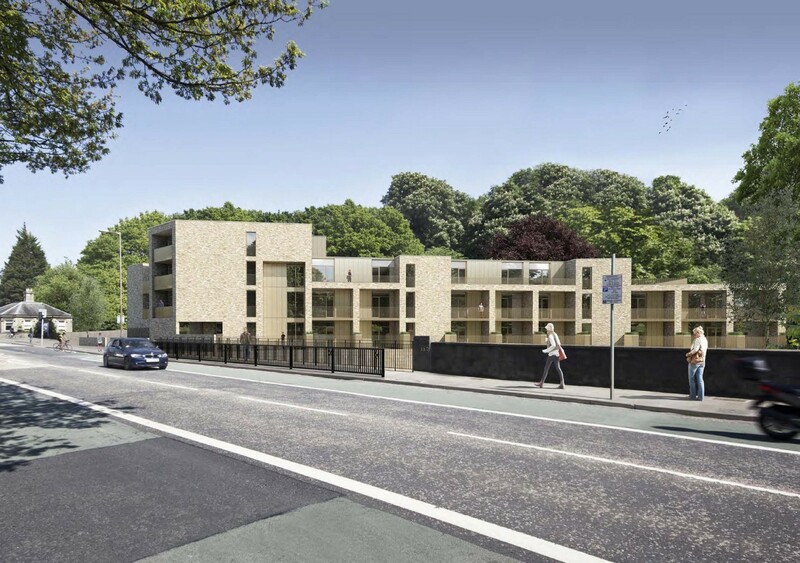 ISA have called last orders on a disused pub on Edinburgh’s Lanark Road after lodging proposals by Thistle Residential to erect 25 flats in its place. 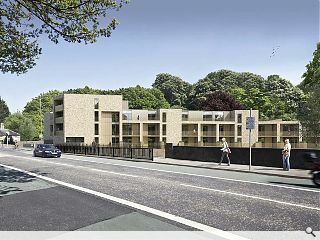 Overlooking the Water of Leith, at the point where it is crossed by the Union Canal, the project steps down in height from a four storey ‘sculptural’ corner element to a two storey block to the south with massing further broken up through the use of a stepped parapet and recessed balconies. The primary river frontage will offer a direct connection to the waterfront with masonry piers delineating the boundary of each flat. In their materials statement the architects wrote: “A self coloured blonde brick has been selected to give the development a domestic character and scale while providing a solid, robust expression to reference the civil engineering of the adjacent Union Canal Aqueduct and Caledonian Railway viaduct. Landscape design is being handled by RankinFraser, mixing a hard entrance court to the north east with planting marking the boundary with retained woodland. I am hoping this sort of cut n’ paste recto’ brick and golden block had reached its zenith. Not suggesting this is a poor building, it looks sharp enough, but c’mon, this could be lifted from any ISA/LBA/LDA/ISA/MLA/CDA/MMc project…some slightly better at detailing and understanding materials than others. Time for a new approach perhaps? A less formulaic and more site specific approach would be a start.